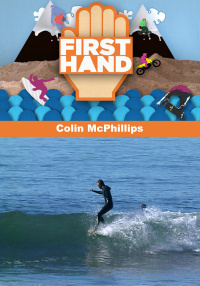 3 time world longboard champ Colin McPhillips takes on a surf tour of New Zealands east coast and to the dunes of Glamis, CA. 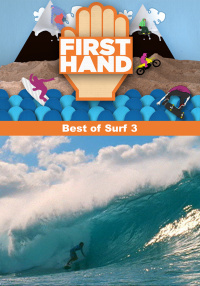 Top ranked female surfer, Megan Abubo takes us to Fiji where she competes against the best in the Roxy Fiji Pro. Get inside the life and story of world champion surfer Lisa Anderson. Pro surfer Peter Mel tours Santa Cruz's secret spots, bounces to HI for The Eddie, and competes in the Mavericks big wave contest. Surfer Tamayo Perry takes us to Tahiti where he surfs one of the world's heaviest breaks known as Teahupoo. Pro surfer James Pribram travels to the Great Lakes and Peru to fight threats to local surf breaks, including pollution and overdevelopment. 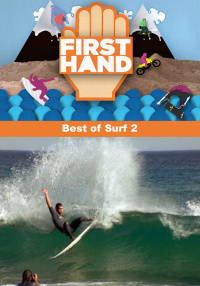 Representing half of the wonder-twin duo, Damien Hobgood heads to two of the most spectacular surfing destinations in the world in this unforgettable episode of Firsthand. Follow California pro surfer, Alex Gray, as he spends time at home, then travels to secret spots in central California and Mainland Mexico. 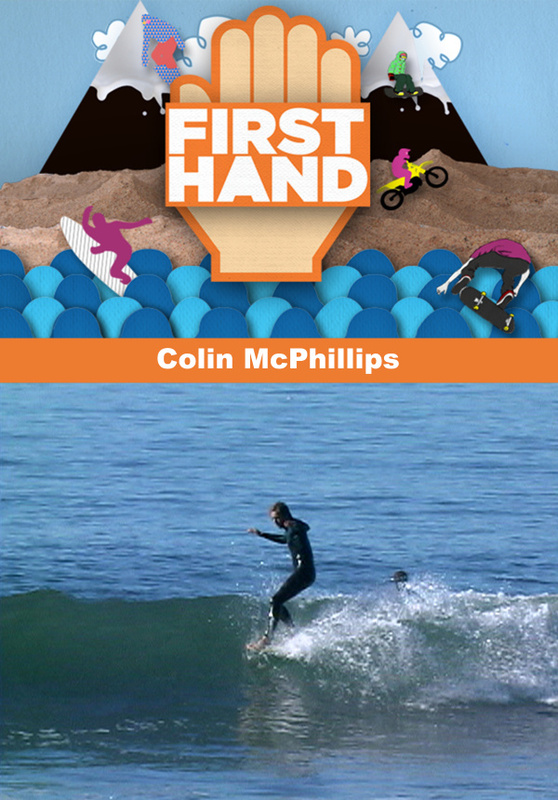 Meet three-time world longboard champion, Colin McPhillips and see the inside life of this California kid. Colin gives a tour of his home town of San Clemente and checks in with world renown shaper Bill Stewart as he shapes his signature model. Then, set off on a journey up the east coast of New Zealands north island to find perfect surf on the Corimandel Peninsula. The episode wraps up with a trip to the sand toy capitol of the world of Glamis dunes where Colin spends some downtime on his dune buggy.